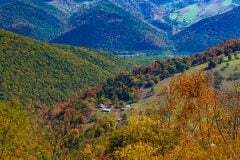 There are so many wonderful things to do in West Virginia, but it can be difficult to plan everything and can become overwhelming. 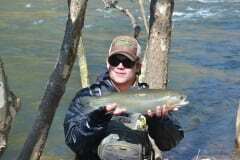 That’s why we’ve compiled a few West Virginia family vacation itineraries that include family-friendly attractions and outdoor adventures on and off the Harman’s Luxury Log Cabins property. 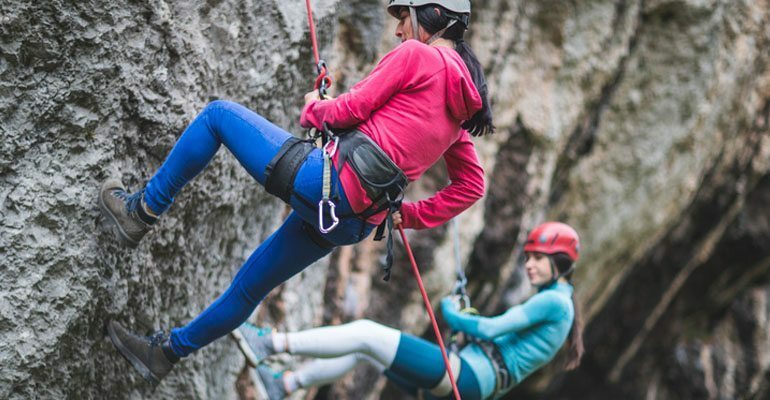 All of these activities can be interchangeable, so it’s up to you and your family on how you choose to explore during your West Virginia family vacation! 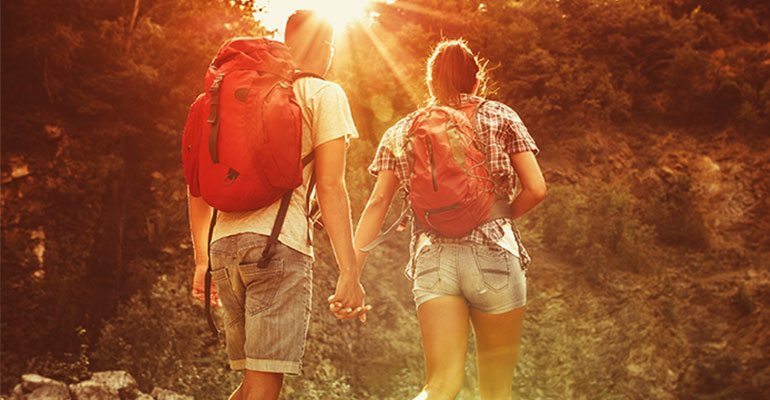 Best of all, these things to do and attractions are near Harman’s Luxury Log Cabins so you won’t have to travel too far to create new memories and experiences. 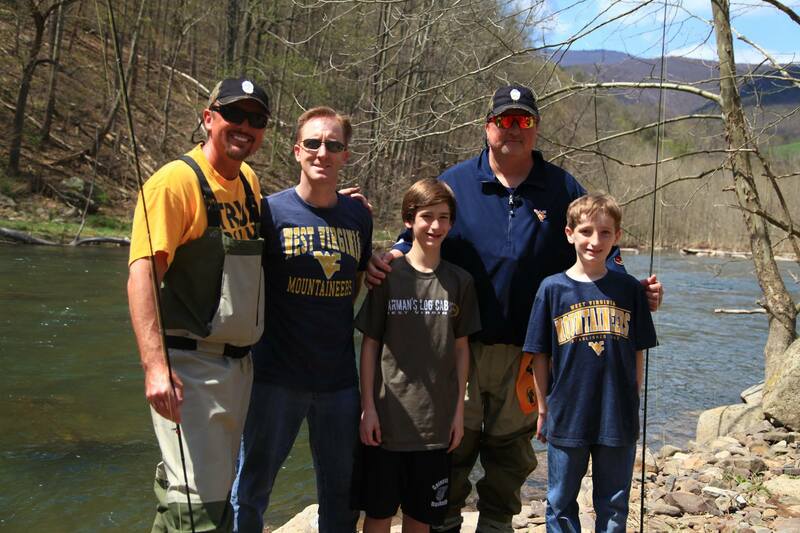 Check out our West Virginia family vacation itineraries below! Begin your journey off of the Harman’s property with a quick trip to the Seneca Rocks Discovery Center. Here you’ll find the Seneca Rocks Hiking Trail, a 1.3-mile trail that rises 700 ft above ground in the middle of Monongahela National Forest. Dolly Sods Bear Rocks Preserve sits above Canaan Valley in Dolly Sods, providing majestic views of West Virginia’s natural beauty. 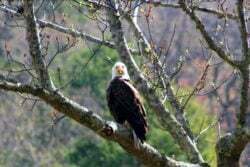 Here, hikers will likely see birds of prey soaring through the sky, smaller birds that live within the flora that covers the ground, and other unique creatures like salamanders. Located only 45 minutes from our West Virginia log cabins is Blackwater Falls State Park, a gorgeous setting located in the Allegheny Mountains and one of the most photographed areas in West Virginia. While the park does offer 20 miles of hiking trails, the main attraction is Blackwater Falls, where all ages will enjoy the scenery and sound as crisp, flowing water cascades 57-feet down the rocks. Just make sure you have your camera ready! After days of exploring the local hiking trails, use your final day to relax onsite and enjoy Harman’s trails you missed—or the trails you want to hike again near your West Virginia log cabin. 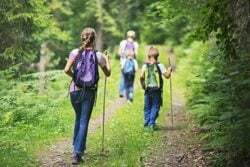 If you’re looking for more family-friendly hiking opportunities, there are plenty of other nearby hiking trails to enjoy. 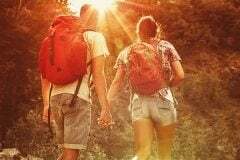 Find out more about nearby West Virginia hiking trails. Located just 14 minutes from Harman’s Luxury Log Cabins, the Seneca Rocks Discovery Center is located at the base of Seneca Rocks. The center includes a picnic area, live music on Saturdays, Appalachian crafters and artisans during the summer months, and nearby hiking and sightseeing. 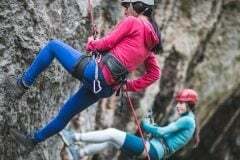 Gain an entirely new appreciation for the great outdoors when you visit Nelson Rocks for a day of Via Ferrata. This 3.5 hours professionally guided tour includes scaling 1,085 feet in elevation, crossing a suspension bridge 150 feet above ground, and more! Guests must be 13 years or older to take on this once in a lifetime experience. Prices start at $80. Call (877) 435-4842 for to book your trip at NROCKS Outdoor Adventure. Head underground for a tour of a completely different world at Smoke Hole Caverns and Seneca Caverns. One of the best parts about these caverns is that weather is never a factor; you can enjoy these natural wonders any time of year! These incredible underground formations are filled with truly unique features like stalactites, stalagmites, bats, and flowing mineral-carrying water. At Seneca Caverns, you’ll descend 165 feet below the entrance to the caverns. And kids can dig for their own keepsakes at the Gemstone Mining stations, offered at both locations. 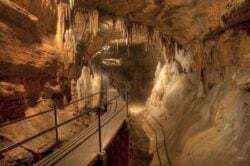 Guided cavern tours for Smoke Hole Caverns are $15 for adults, $10 for kids ages 5-12, and free for kids ages 4 and under. Call (304) 257-4442 for more information. Tour rates at Seneca Caverns are $15 for adults, $10 for children ages 5-12, and free for kids ages 4 and under. Contact (304) 567-2691 for more information. 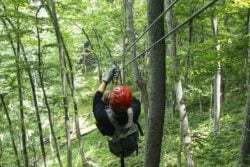 Zip between the trees with NROCK’s’ North Fork Valley Canopy Tour. This scenic adventure packs tons of thrills and some of the area’s best views as you glide between the trees of North Fork Valley. The tour includes 3 sky bridges and 12 zip lines as high as 80 feet above ground and 680 feet long! This family-friendly sightseeing tour is a can’t miss attraction! Prices start at $70 per person. To book your zip line tour, call (877) 435-4842. Located only 14 minutes from our West Virginia log cabins, Yokum Stables has made sure that you don’t have to use your own two feet to hike every trail. Enjoy a leisurely tour on horseback through Seneca Rock with a guided tour. 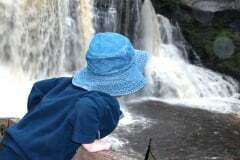 These tours are great for all ages. Plan your horseback tour in advance by calling (304) 567-2466 to make reservations. Get the entire list of can’t miss outdoor destinations in West Virginia. No matter the number of days you’re staying at Harman’s Luxury Log Cabins, there’s always something new to experience and family memories to be made every day. 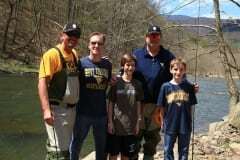 Looking to get your West Virginia family vacation started? 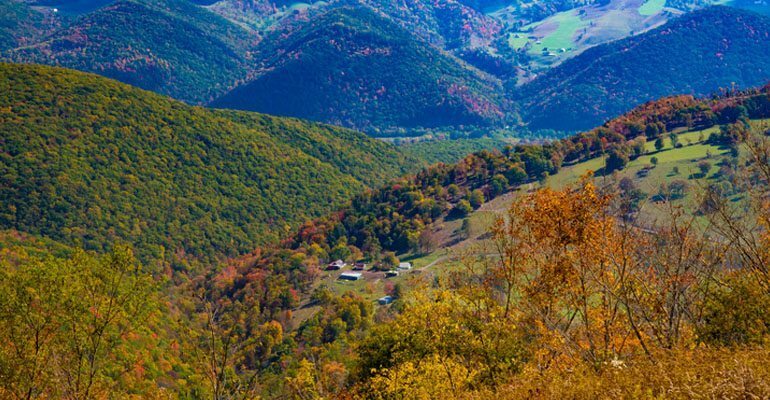 Check out our guide to some of the area’s most popular destinations and be sure to reserve your West Virginia log cabin!